Was the Bowl of Dicks jury tainted by a secret Masonic blood oath? You be the judge. For background on the Bowl and the verdict read this. The arguments on UO’s plea for remittitur will be in Portland on Friday. MS. COIT: Mr. Cleavenger is wearing a Freemason pin on his lapel. I know the connotations for Freemasons. I don’t know the jury’s membership in any sort of community like that. I don’t think it’s necessary that he wears it. THE COURT: He has the First Amendment right to wear whatever he wants to, frankly; but I wouldn’t say the Freemasons are real popular either, It cuts both ways. 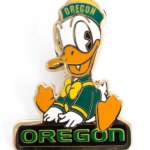 MR. CLEAVENGER: Your Honor, it’s actually a University of Oregon pin. THE COURT: Oh, it is? Counsel? THE COURT: He’s going to give that to you. You’re a Duck, aren’t you? More recent work on the Grand Masonic Conspiracy comes from the noted English barrister John Cleese, here. And here’s video of Louis Farrakhan, explaining how the Free Masons have manipulated US politics since George Washington – an idea which Farrakhan apparently got from watching Nicholas Cage in National Treasure, or maybe from reading way too many Dan Brown novels. In short, the possibility that the plaintiff is using his lapel pin to make secret signals to his brother Masons on the jury is not the most credible argument to try out on a judge – even if it hadn’t turned out to be a Duck pin. HLGR is due in court in Portland this Friday Feb 12th, for one last attempt to convince Federal Judge David O. Carter to set aside the jury’s verdict from September awarding Cleavenger $755K in damages plus legal fees. The docket is here. I’m starting to get a sense for why UO has decided to pay HLGR senior partner Bill Gary $315 an hour to give Ms Coit a little help with this case. Top UO human resources officials were intimately involved in the decision to fire Cleavenger, and McDermed testified that Douglas Park, then UO’s No. 2 in-house lawyer, knew she was going to try to get Cleavenger on the Brady list. Since then, Park was promoted on an interim basis to be UO’s top in-house lawyer, but he is slated to return to the No. 2 job when a permanent successor takes over in about a week. 17 Responses to Was the Bowl of Dicks jury tainted by a secret Masonic blood oath? What pathetic, desperate horseshit. I’m surprised she didn’t accuse him of wearing an ISIS pin. Fat lot of good these shenanigans did her. Myopic lawyers. What did you expect? That’s what it takes to take a case like this to court, as opposed to settling. Where’d you get a copy, they’re not on RECAP yet? I knew someday someone would catch on and discover that Puddles The Duck is actually a secret Masonic symbol and all those who wear His image are either Masons, or even worse….part of the ominous “Skull & Feathers Society.” And the scariest part is that these people are EVERYWHERE….wait….someone just walked into my office wearing a hat with His image…OMG…gotta go! It’s no coincidence that the judge cut off Coit just as her questions were getting close to exposing the true extent of Puddles’s diabolical conspiracy. What a good read. Very much appreciated! But when will James Cleavenger release the transcripts of his testimony to UO Matters? Blame it on my my ancient journalism degree but having access to every other transcript less his has me thinking; “What could he be hiding?” I suppose he could have elected not to testify though. Please advise one way or the other. And at noon on Phil’s birthday the new Duck statue casts its shadow right towards the name Knight on the arena. I’m pretty sure there isn’t a part of campus that isn’t already under Phil’s shadow. No – PLC is still untouched by his generosity and architectural panache. True, my bad. It’s cheaper to wait for an earthquake than to hire a bulldozer. After which UO will sell the land to Knight for a dollar, while he does whatever he pleases with it. It’s simple economics. Live by BCA, die by BCA. Anybody know yet how this turned out for the HLGR all-stars? Their hearing was this morning. Wish I could have been there. 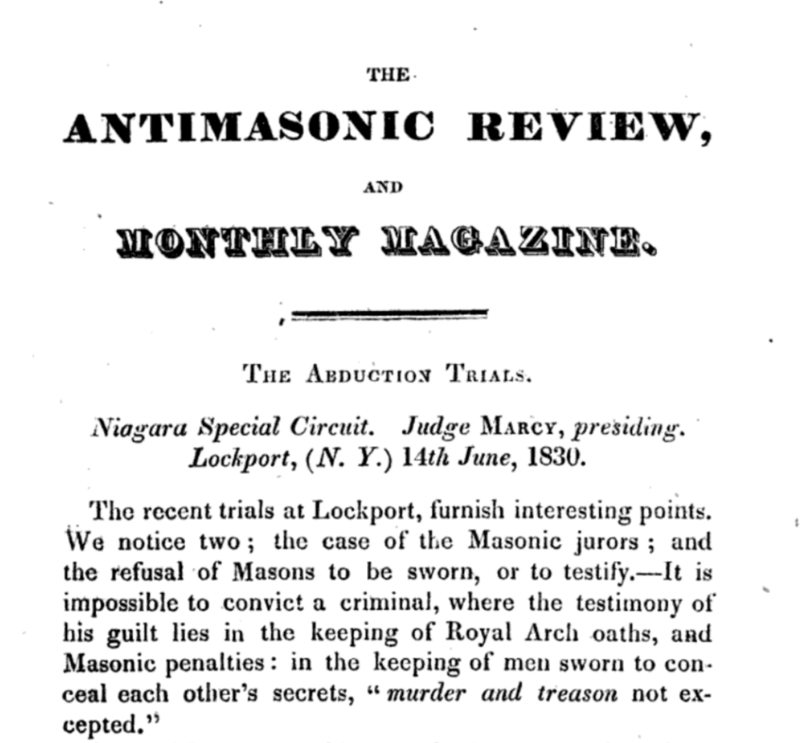 Slate has a good read on the history of the freemasons and the anti-masonic political movement – which led to the first political convention. That’s one interesting article, Millard. Donald Trump and the Bowl of Dicks – not just correlation, but causation.